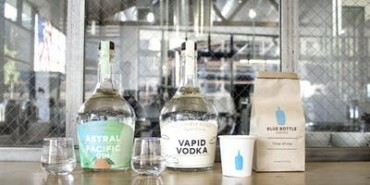 Blue Bottle has teamed up with our neighbor, The Spirit Guild, to offer an insider tour of our roastery and their distillery. You’ll start at the Arts District cafe and roastery, where you’ll spend an hour learning about coffee at every stage of production before tasting the delicious final product. You’ll also leave with a fresh bag of beans, on us. Next, you’ll spend an hour touring The Spirit Guild Distillery, where you’ll get a hands-on education on the distillation process. While you’re at it, you’ll get the chance to sample their Astral Pacific Gin and Vapid Vodka. You must be at least 21 years of age to join this tour. IDs will be checked at The Spirit Guild.